Make use of the AMP congress as the perfect networking opportunity – meet your target group, expand your customer base and benefit from the active exchange of information on-site. We invite you to join us in Hong Kong and share your brand with this influential audience comprised of decision makers from around the globe! AMP GLOBAL will offer a number of sponsorship opportunities for exposure of your brand to an international audience. 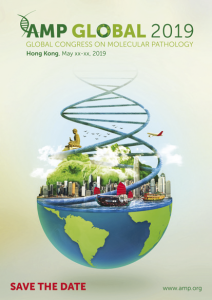 We look forward to meeting you in Hong Kong for AMP GLOBAL 2019! 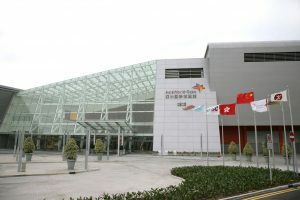 This state-of-the-art venue is located right next to the Hong Kong International Airport and at the centre of an extensive and efficient air, land and marine transport network. The minimum area of a booth space is 6 sqm. The allocation of exhibition booths will be treated on a ‘first come, first served’ basis. Registration is subject to the number of available booth spaces. The build-up day will be on Wednesday, May 15th. Thursday, Friday and Saturday (May 16th–May 18th) will be the exhibition days. The dismantling will take place on Saturday evening (May 18th) after the closing of the congress. These opportunities will allow companies to target the delegates in advance of the event. Choose from a range of attractive sponsorship opportunities which can be customized to suit your needs. We are open to any suggestions that may help you promote your products and services. Congress Bags, Lanyards, Pens and Notepads, Congress WIFI, etc. 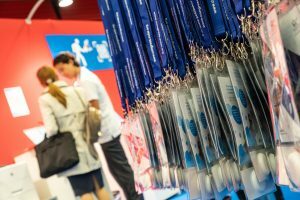 Congress Bag Insert, Flyer Display, E-Mailing, Roll-up, Advertising Package, Charging Stations, Badge Scanner, Coffee Breaks, Networking Reception and more.